NEW DELHI --- India has moved a step further and reached a milestone in its project of procuring and co-producing 200 Kamov Ka-226T helicopters worth Rs 21,000 crore from Russia for the Indian Army and Indian Air Force, defence ministry officials privy to the matter said. The ministry, a few days ago, issued a Request for Proposal (RFP) for the project to the manufacturer, Russian Helicopters, part of Russian corporation, Rostec. “The RFP for the 200 Kamov helicopters was signed and given a week ago to Russian Helicopters. This is a milestone in the process of procuring them,” said an official. The RFP is an important document in the Indian defence procurement process and elaborates on the general requirement of the equipment, the numbers required, delivery timeframes, maintenance and support package. 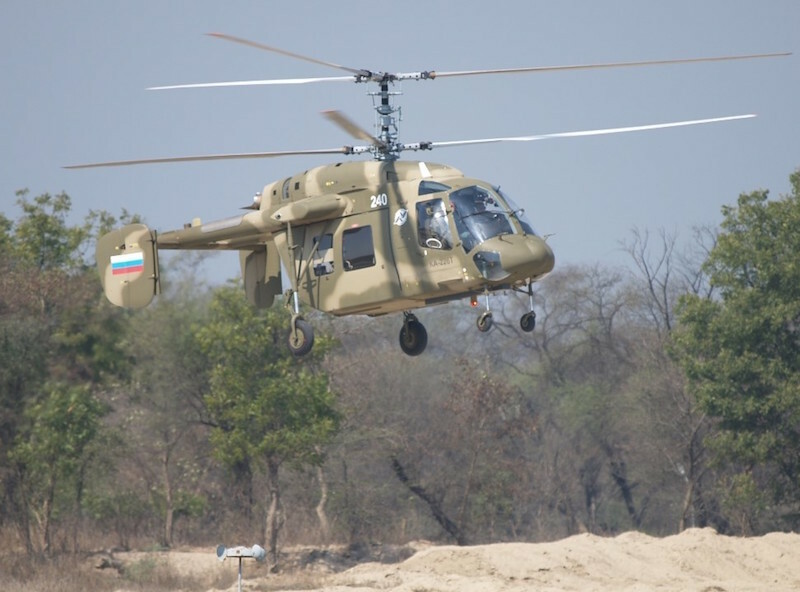 Officials explained that the RFP was worked out in consultation with the joint venture setup between Russian Helicopters and Indian defence PSU, Hindustan Aeronautics Limited. Last year, Indian and Russian officials had met several times to sort out the RFP, including understanding how the program will unfold in India. The RFP makes clear the intent to procure 200 of the helicopters, which entails 135 for the army and 65 for the IAF. Click here for the full story, on the ET website.